IT IS NOW two decades since divorce was legalised in Ireland and thousands of couples across the country go through the process each year. Following the referendum in November 1995, the prohibition of divorce was removed from the Constitution and this was signed into law in June 1996. The referendum result had been a close one with 50.28% voting in favour and 49.79% against. Ireland was, at the time, one of only two countries in Europe where a ban on divorce was still in place and there were strong campaigns on boths sides. CNN reported at the time that Irish voters “narrowly voted to defy the Roman Catholic Church and legalise divorce”. Then Taoiseach John Bruton said the close margin demonstrated how much every vote counts. Figures released to TheJournal.ie through a Freedom of Information Request reveal that in the first year after legalisation, 431 divorce applications were received by the Courts Service and just 95 of those were granted. During that 12-month period, there were also 1,263 judicial separation applications and 48 nullity applications. The number of divorce applications rose to 2,761 in the following 12 months, with 1,421 granted. Applications increased again in 1999 to 3,293 with 2,315 granted. Figures have risen and fallen over the years, but statistics for the last decade show the majority of applications are granted. Last year, there were 4,314 applications for divorce and 3,291 were granted. This was an increase on 2014, when 3,821 people applied for divorce and 2,638 were granted. A total of 2,347 of those were applied for by the wife while 1,967 were applied for by the husband. Fifteen years earlier, the trend was different when almost two thirds of divorce applicants were male. Proper financial provision for both. Keith Walsh, a solicitor and chair of the Law Society’s Family and Child Law Committee, explained that an application can only be made once the four-year separation period is up. During that time, couples can either live in separate properties or both remain in the family home, though they are required to sleep in separate bedrooms and should not present themselves as a couple in social situations. There should also be no physical intimacy between the couple during that period. Particularly during the recession, people were forced to live in the same house, even though they were really separated. Often one of the parents is living in the kids’ bedroom while one stays in the master bedroom. They don’t socialise together and everyone knows they are separated but because of their financial situation they can’t move. “There has been a big increase in cases coming in in the last 12 months, anecdotally. People are recovering financially and can now afford to go to lawyers to start the process,” Walsh said. Couples can, during that time, take part in mediation or negotiation through their solicitors so they can come to an agreement on sharing assets, pension issues and custody if there are children involved. However, all divorce cases have to go before a judge, even if there is no dispute between the couple about the arrangements. Most straightforward cases take just a few months to get to court and then half a day in front of a judge. 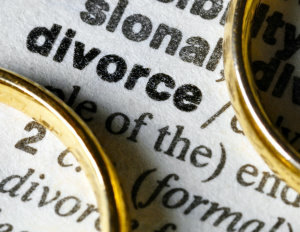 Walsh said the cost of a divorce usually runs into the thousands and can be particularly expensive if one person in the couple will not agree or does not have legal representation. Delays can also occur if someone is hiding money or if custody issues arise. “The more straightforward it is and the sooner you get an agreement that is fair and reasonable, the sooner you will get it through,” he said. It is always better to negotiate an agreement beforehand that is good for both rather than take a chance in court when you don’t know which way a judge will go. Walsh said that many couples at the end of the four-year period just want to move on with their lives and this long waiting period can cause “much hardship”. Fine Gael TD Josepha Madigan has tabled a bill that would reduce this waiting time to two years. The first-time TD has worked as a solicitor for 20 years and specialises in family law. There are 250,000 couples separated and it would be a significant help for them. There is a very low marital breakdown rate in this country anyway so I don’t expect that to increase. Madigan said that in her experience, the long waiting time “increases hostilities between the parties”. She said her bill would not change the criteria or any other details in the Constitution in relation to marriage – only the length of the waiting period. It is expected to come before the Dáil early next year, but if passed, it will have to go to a referendum. Maura Hurley Solicitors is a solicitor based in Dublin that specialises in Divorce cases.